A light and airy conservatory or garden room can be a valuable addition to any home, offering you a versatile inside/outside space that can be used throughout the year thanks to our energy efficient double glazed roofing systems. Furthermore, conservatories and garden rooms can be an effective way to increase the market value of your property and enhance its appeal to prospective buyers. 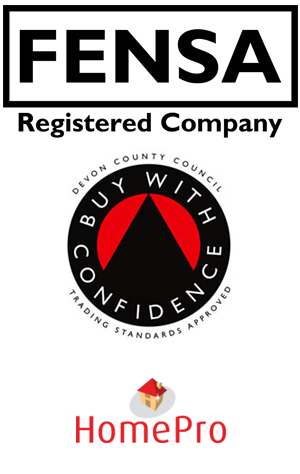 Quay Windows have installed many conservatories, garden rooms and sun rooms of all shapes and sizes in North Devon and across the South West. We have the expertise and experience to deliver a complete supply and installation package to deliver your dream inside/outside space. The Victorian style Conservatory has an attractive angled roof with ornate cresting, to provide an elegant addition to any home. This sophisticated style is a popular design for those looking to add an elegantly appealing conservatory to their home. 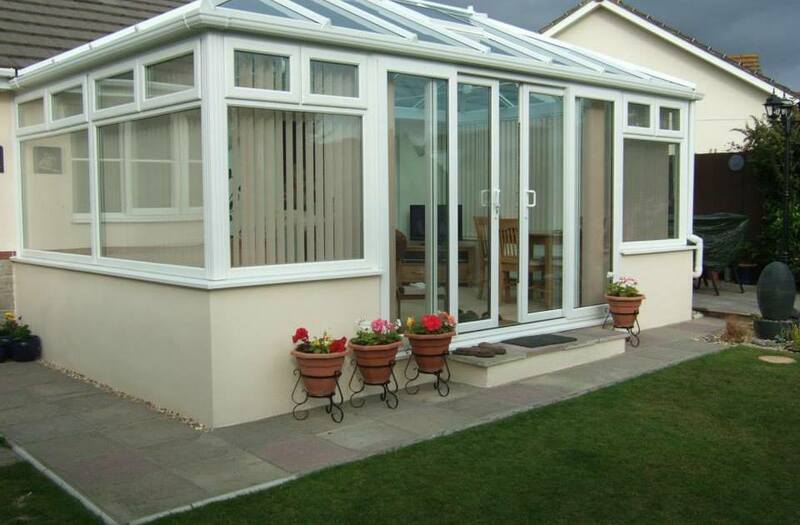 The Edwardian style Conservatory has a sleek design made up of sharp elegant lines. This design incorporates traditional designs with modern day practicality, to create a space that is attractive as it is versatile. The unique P Shape conservatory design cleverly adds much more living space to your home, without extending too far into your outside space. The P Shape conservatory brings great flexibility to the way that you use your home and is often a practical solution for those who do not have a great depth of outside space to extend out into. If you’re looking for an attractive way to create a practical outside/inside space, a lean-to is a great option. Also known as a garden room, sun room or Mediterranean conservatory, the full length glass windows and doors help you to enjoy the natural light and feeling of the outdoors whilst being inside.